Note: A price increase of at least 100 percent from the first quarter of one year to the first quarter of the next is considered an extraordinary price increase. To be considered an established drug, a drug had to be in the Medicare Part D claims data for each quarter from the first quarter of 2009 through the second quarter of 2015 and meet certain other data reliability standards. A total of 1,441 drugs met these criteria. 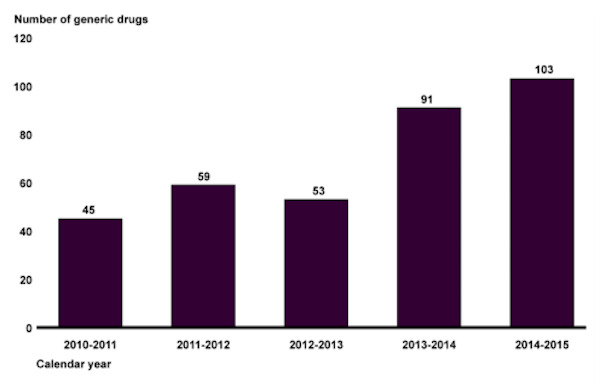 Data Source: GAO analysis of Medicare Part D prescription drug event data. This entry was posted in Data Watch on September 21, 2016 by Genevra Pittman.